There’s a lot going on at First Event! The best way to experience First Event is with the full conference package. If you can’t make it to the entire conference, pick a package that matches your schedules and interests or build your own conference à la carte. Discounts are available for students, children, and cisgender partners of transgender/gender variant people. A limited number of need-based scholarships are available to those who would not otherwise be able to attend (apply here). $50 off of Full First Event package. That’s like getting TCNE membership for just $15!!! $25 off any other package. Main Program. Prices good through January 29th. ² Discounted price requires purchase of a new or renewed TCNE membership at the time of registration. ³25 and under. Valid student ID required. The Youth & Family program is designed for transgender and gender expansive youth and their family members. The bulk of the youth and family program is on Sunday but attendees are encouraged and welcome to attend Saturday workshops, too. All Saturday and Sunday daytime activities, including youth and family luncheon. Walkin prices are $60 Adult / $45 Child. All paid activities can be purchased à la carte. Paid activities can be added à la carte to packages, with some restrictions. A discount of approximately 25% is offered to students, children, and cisgender spouses/significant others of transgender and gender expansive people. 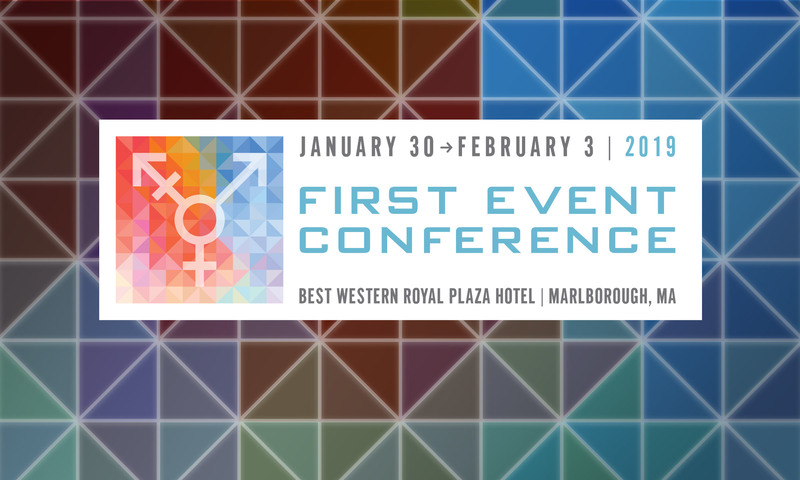 If online registration is not an option for you, email registration@firstevent.org to request a mail-in registration form. Book your room at the official conference hotel now before they sell out.